There are several ways to highlight the benefits of a trip in the business class. Passengers that choose the premium services in the air want to punctuate their status and enjoy all the comforts provided by an airline. In fact, you feel the advantages of the premium class not only in the cabin but also in the airport. The air companies try to provide various privileges to their business class customers including the fast and easy check-in, comfortable services in the lounge, and other peculiarities to impress their passengers. The efforts of all the air companies are aimed at providing the highest level of comfort as possible. In addition to the improvements of the seats, in-flight entertainment, and servicing, another essential part of a comfortable trip is food. 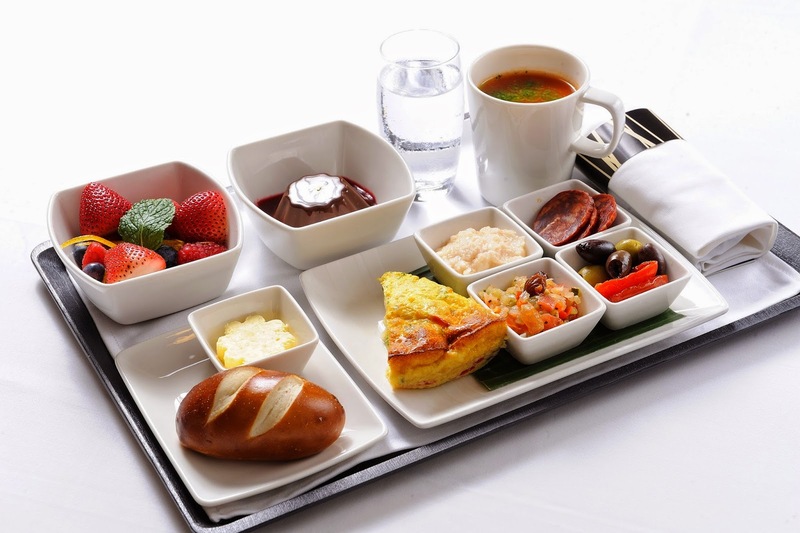 It is impossible to imagine a flight without a minimum dining service. This kind of comfort is always in the full glare of the passengers since everyone likes to have an appetizing meal. It should be noted that the difference between the dining in the premium cabin and in the coach is significant. 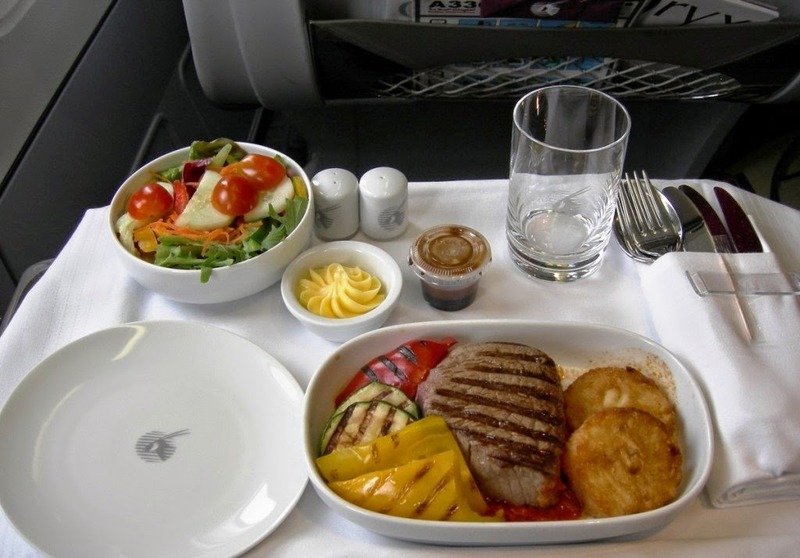 All the air companies pay a special attention to their meal servicing for the passengers of the elite class. 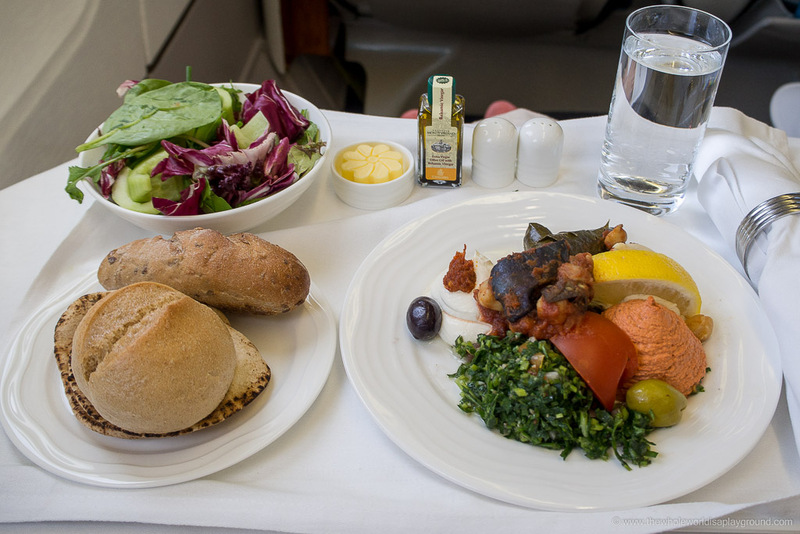 Such world-famous airlines as Emirates or Etihad focus on delivering the incredible food experience to their passengers traveling in the top class cabin. The major American air company named Delta is not an exception. The customers that choose the Delta’s premium class are provided with the state-of-the-art features and benefits including the best dining experience. Delta Airlines offers a product called Delta One to their business class customers. The product is available for the long-haul flights as well as some transcontinental flights within the USA. The Delta’s fleet equipped with all the features of Delta One is represented mostly by the various models of Boeing and Airbus A330. The features include a seat layout with the direct access to the isle, lie-flat seats and other things regularly available for the premium customers (power-ports, folding table, amenity kit, bedding etc.). The topic of our interest is food so let’s find out what dining opportunities are offered to the passengers of Delta One. Any air trip starts from the ground. The Delta One customers are provided with an access to the premium lounge areas called Sky Clubs. Currently, Delta Airlines has more than 45 lounge areas around the globe. The design and features of the lounges vary depending on the location. In general, you will find the complimentary premium food options almost in any lounge area of Delta. In addition, any visitor will be pleased with an extensive choice of snacks and beverages. A drink and food setup usually consists of chips, whole fruit, yogurt, cookies, water, various beverages and other snacks. The options of hot food are also provided. Besides, if your travel coincides with some holiday, the food options will be themed in accordance with the holiday. As a rule, the tables with complimentary food are located in the main room near the bar, while the hot food spreads can be found in a buffet. Almost each Sky Club is fitted with a bar where the passengers can enjoy various drinks, standard cocktails, beer and a wine selection. If you want some upscale beverage like a glass of Guinness or Leffe, be ready to pay an extra fee. Besides, it is not necessary to go to make an order because the waiters take orders right in the lounge. The customers are also offered with a premier menu available for an extra cost. However, you will not be impressed with the choice of the dishes. At the same time, a premium wine menu offers a great selection of white, rose, and red wines. The lounge area has not impressed. The customers are offered with a variety of cold and hot food, while the chef-curated meals are available in the air. As soon as you place yourself in a comfortable seat in the business class cabin of Delta, the friendly flight attendants offer hot towels and beverages at your choice (champagne, juice, beer or water). It should be highlighted that the pre-departure beverages on the board of Delta are served in glasses. This feature is highly appreciated by the passengers. You are always offered with a package of some snack to your drink. Four options of the starter: Antipasto Misto (marinated goat cheese, prosciutto, fennel spice crostini, and roasted butternut squash spread), Ceci Alla Siciliana Salad (red onions, chickpeas, grape tomatoes, celery, served with vinaigrette dressing), Assorted Bread, and Farmers Market Vegetable Soup. The starters are accompanied with wine, beer or cocktails. Four options of the main course: Beef Tenderloin (parsnip puree, morel sauce, and baby carrot caponata), Chicken Vendemmia (lemon thyme mashed potatoes, verjus sauce, and haricots verts with toasted garlic), Cocoa Crusted Pork Tenderloin, and Eggplant and Goat Cheese Lasagne. Some flights offer an extended menu in accordance with the city of departure and arrival. For example, the menu on the board of the flight to Tokyo contains the Japanese and Western Selection of the main course. Sesame salmon marinated in soy sauce. The customers of Delta One are offered with three options of desserts: A Tasting of Sweet Treats, Selection of Fine Cheeses, and Vanilla Ice Cream Sundae. For your enjoyment, a selection of various snacks and sweet are available at any time. A selection of wines in the cabin of Delta One deserves a special attention. Each destination offers a particular wine menu consisting of red, white, dessert wines, and champagne (two options of each wine and one champagne). All the wines are recommended by the famous sommelier Andrea Robinson. The meal service for the Delta One customers starts 30 minutes or a bit more after the takeoff. The dinner menus are available at the seats from the very beginning of the flight. The flight attendants take orders before the departure and are very friendly making meal advice. If you want, you can make a preorder on the company’s website at least 24 hours before the flight. For the customers with the need for a special meal (kosher, vegetarian, gluten-free), Delta One offers 17 special meals available on the board. The quality of servicing is mostly great. The passengers admit the hospitality and friendliness of the flight attendants as well as their easy-going but respectful manner of conversation. Since the menus are created in partnership with the prominent chefs, the dishes give no rise to unfavorable criticism. In accordance with the customer’s feedbacks and various reviews available on the web, we can claim that Delta One offers the best food solution among the other US airlines. The lack of the meal uniqueness in the lounge areas is compensated by the food solutions in the sky in spades. A special note is awarded to the seasonal menus and menus tailored in accordance with the flight direction. You will not starve during the flight in the Delta One cabin but experience a meal enjoyment accompanied by a perfect choice of wines.